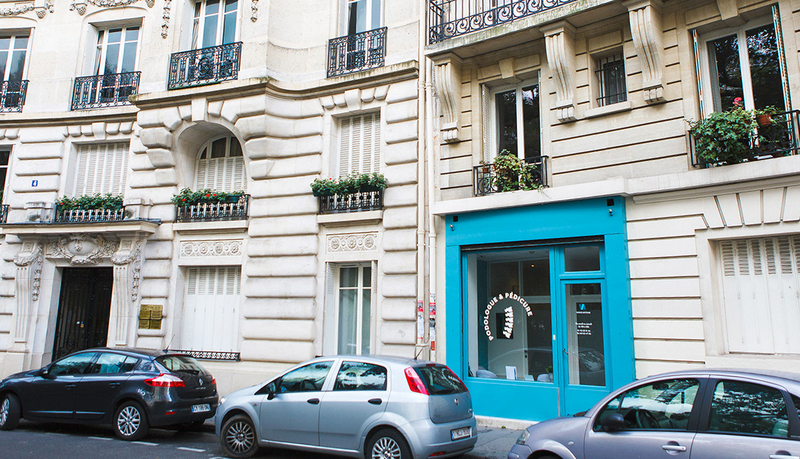 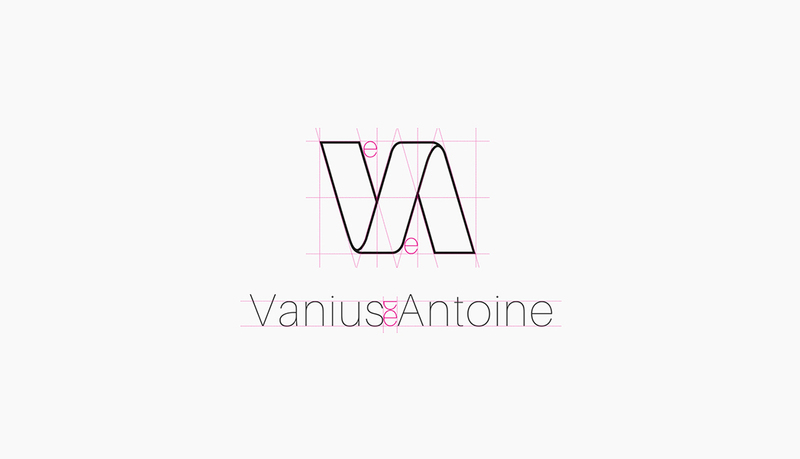 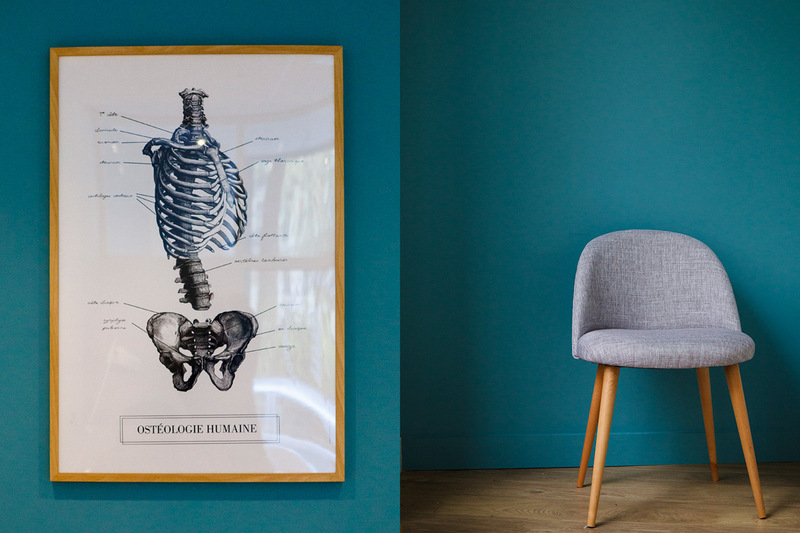 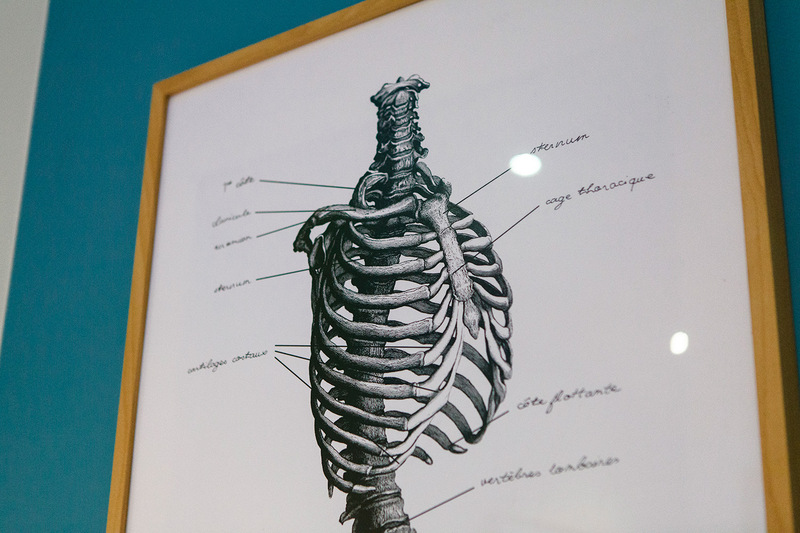 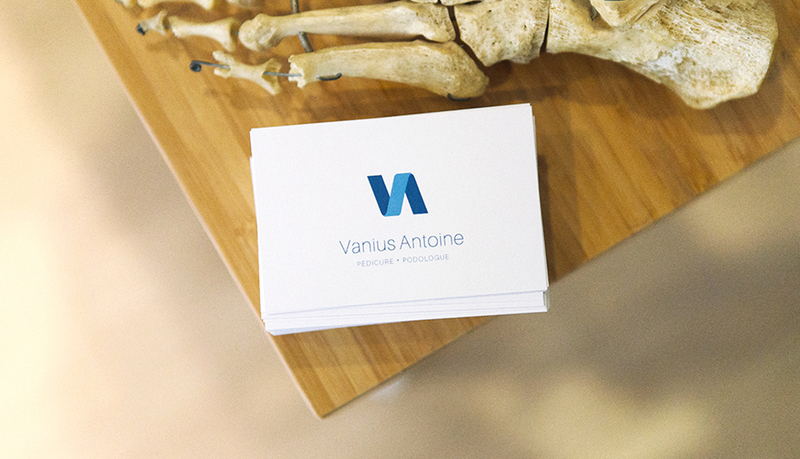 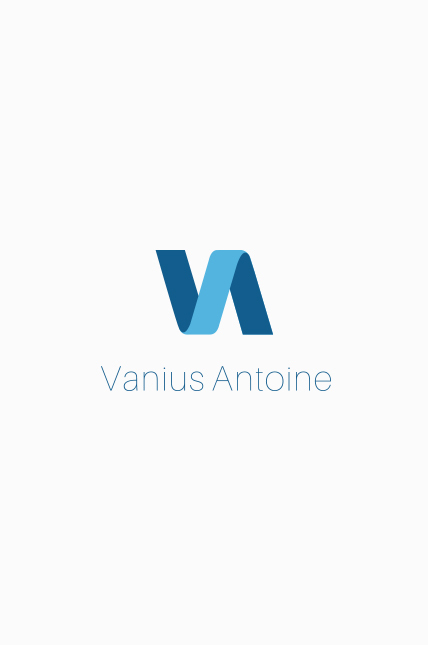 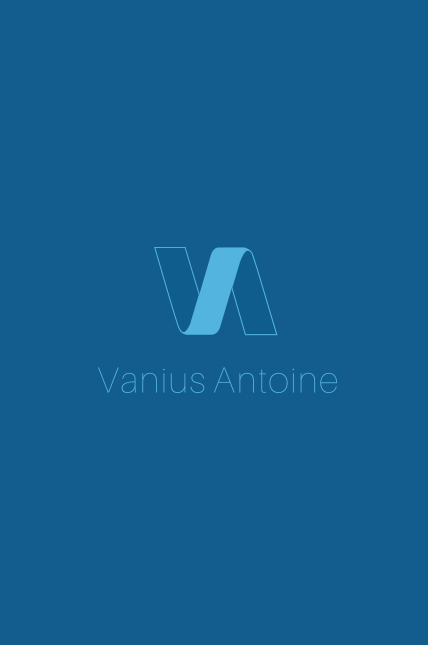 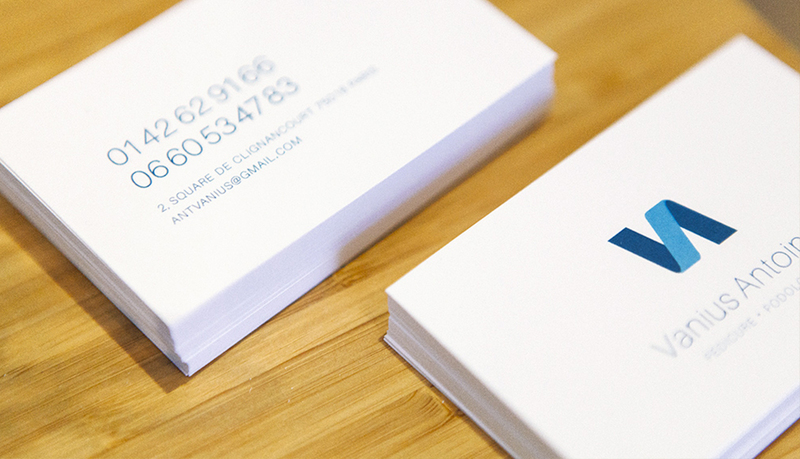 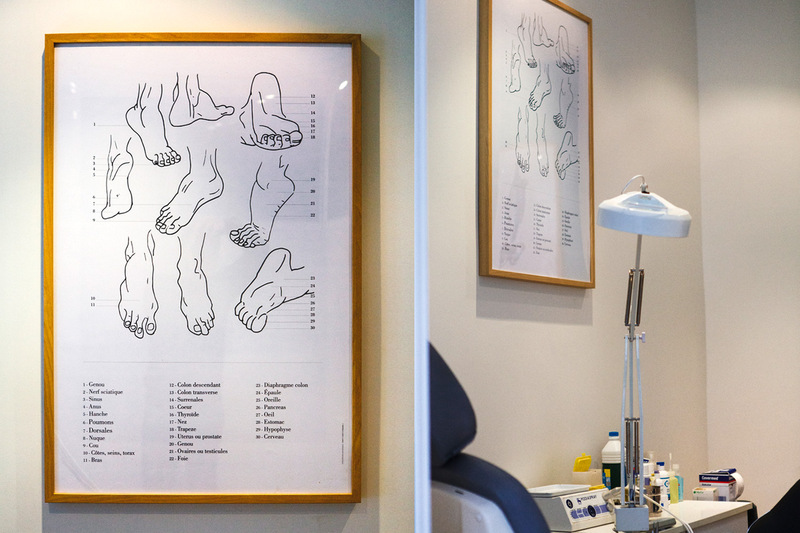 The podiatrist and osteopath Antoine Vanius contacted us before the summer to completely review his visual identity. 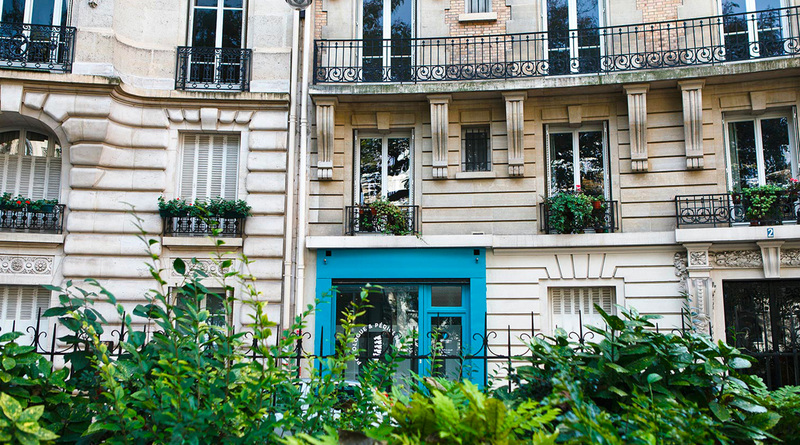 Indeed, his office located at 2, Square Clignancourt in the eighteenth arrondissement of Paris, suffered from poor visibility and a somewhat dated atmosphere. 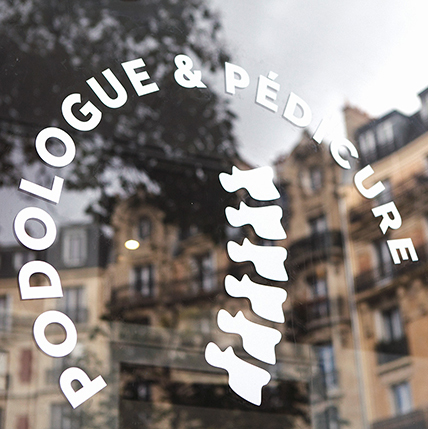 Thus for this project, in addition to creating a graphic identity (logo, business card, charter ...), we also implemented a global overhaul of the artistic direction of the place. 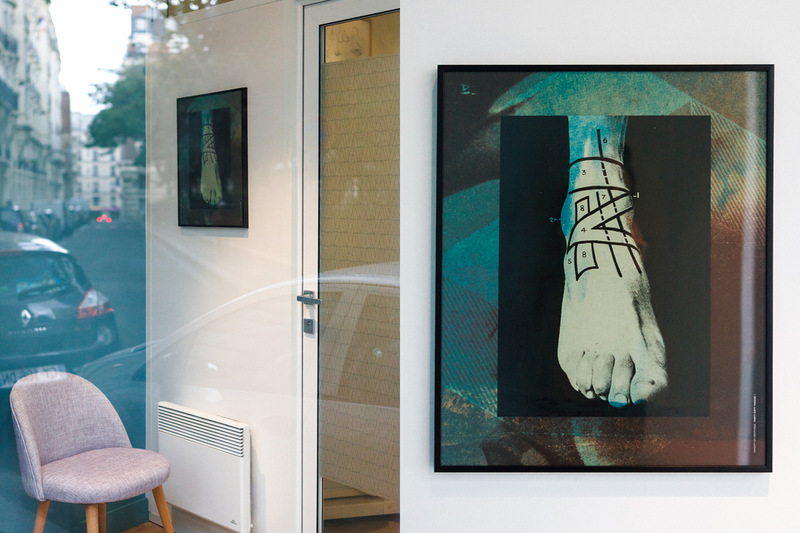 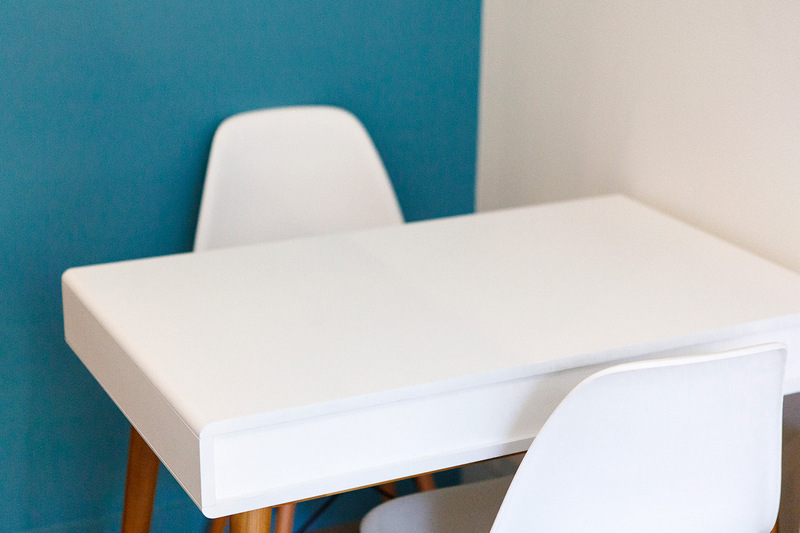 For this we reviewed the facade, the signage, the choice of furniture, the layout and even the decoration with posters made to measure. 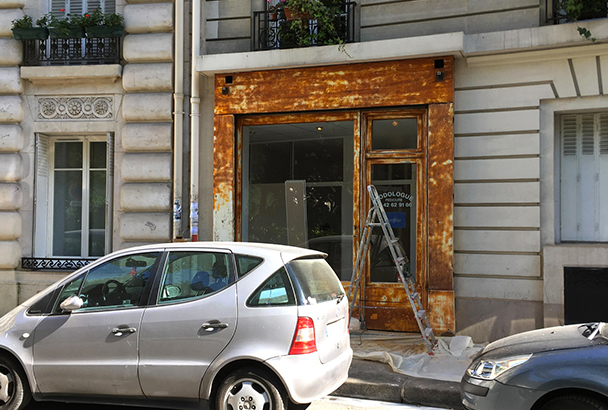 A project so very global with a large part carried out once again by dirtying our hands.